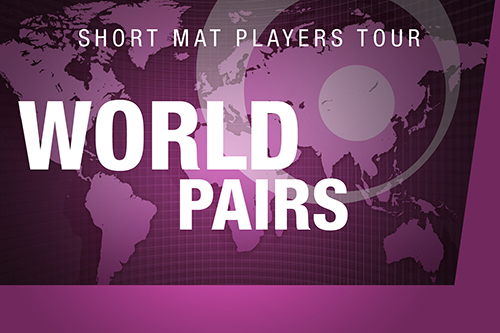 Pairs will be split into groups of 4. The top 2 in each group will qualify for the main Cup knock-out. The remaining 2 pairs in each group go into the Plate competition. Note: Timings are a guide only and may vary. *All prizes maybe awarded in the form of pounds sterling or vouchers of the same value. Prizes and format is subject to entries. Alex Kley & Thomas Perris claim the Taylor Bowls World Pairs Masters title after beating James Trott & Mikey Ivings 11-2 in the final. 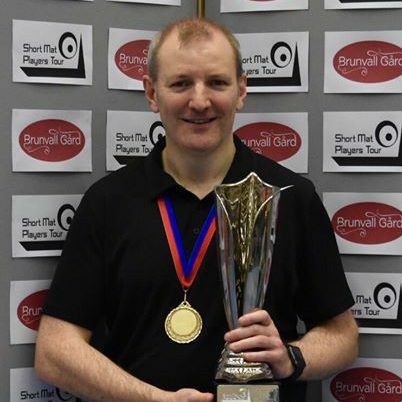 Aled & Gethin Edwards claim the Plate after beating Tony Ealham & Pat Goodchild 11-3. 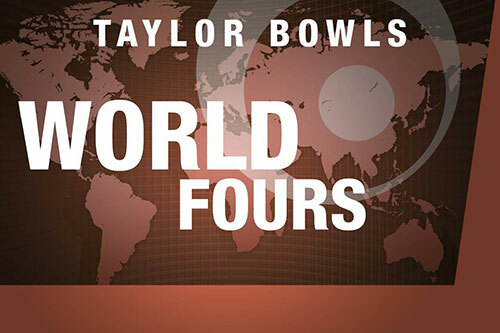 We are delighted to confirm that Taylor Bowls have extended their title sponsorship of the World Paris and World Fours Masters events for a third successive season. 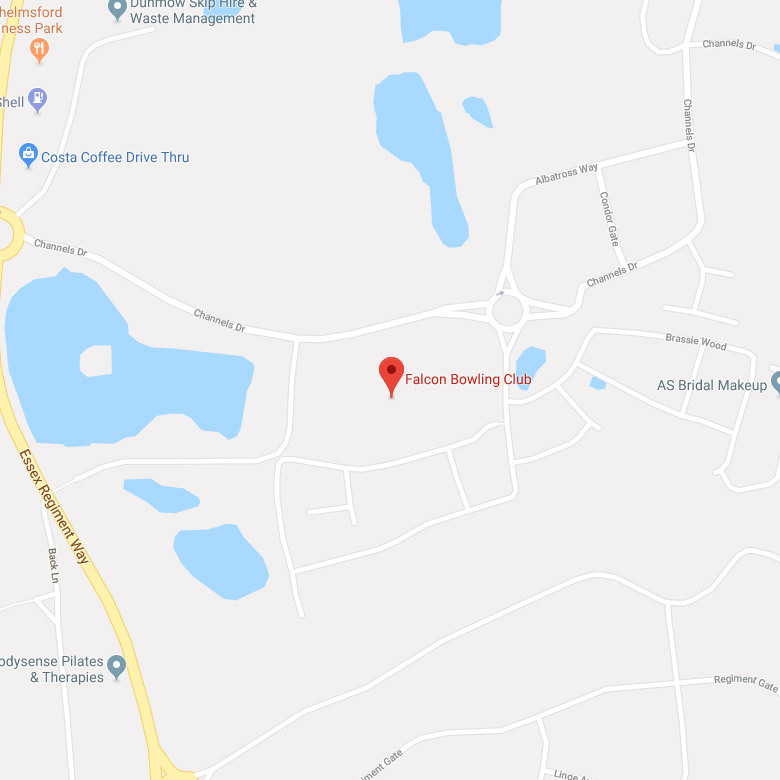 Follow all the updates from the Taylor Bowls World Pairs Masters taking place at the Falcon Bowling and Social Club in Chelmsford. The Dress Code is relaxed, except that footwear must be proprietary bowling shoes or sandals. 2 dead ends are allowed per team per match; the 3rd and any subsequent dead ends will be 3 shots away and the end will count except for the last end of a match where it will be 3 shots away and the end replayed. Players may visit the head at any time. Players must indicate both verbally and by raising their arm, to notify all players on their mat and those on neighbouring mats, whenever they intend to play a running bowl. This is to ensure everyone’s safety. Players should play in adherence with the SMPT Code of Conduct. Suspected collusion or other unsporting behaviour may result in immediate expulsion from the competition, and may affect acceptance in future SMPT events. Any disputes must be raised with the Competition Organisers at the time. In this, and in all other matters, the Competition Organisers’ decision is final and binding. Both teams are responsible for keeping their own scorecards and ensuring that both scorecards are the same. Scorecards must be signed by both teams at the end of a game. Measuring may be done by players, umpires or the Competition Organisers. In the Group Stages 3 points will be awarded for a win and 1 point for a draw. If all the above are equal a 3 end play-off will determine the positions. See ‘Tie-break Rules’ below. A team who for whatever reason misses one group game, will still be allowed to continue in the event. The opponents in the missed game will be awarded with the win, 3 points and 1 shot for each of the scheduled number of ends for games at the event e.g. 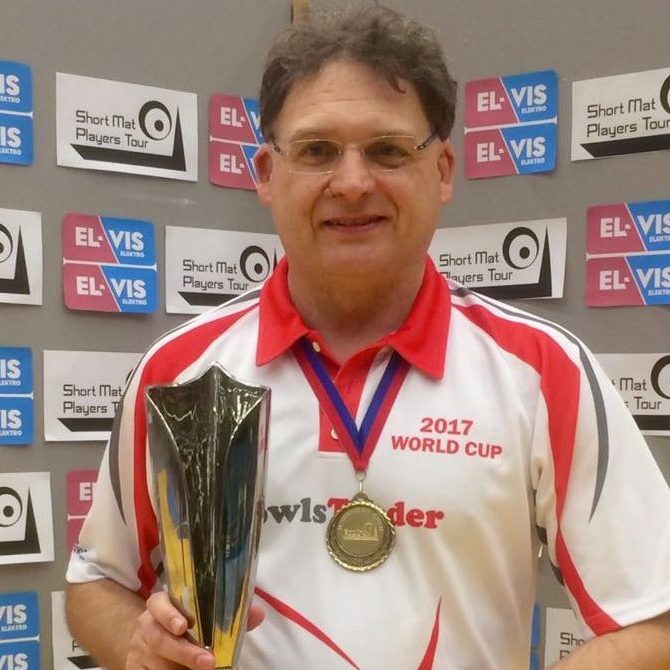 10 end pairs games would be a 10 v 0 win and 9 end fours games would be a 9 v 0 win. A team who for whatever reason misses two or more group games will be withdrawn from the event. 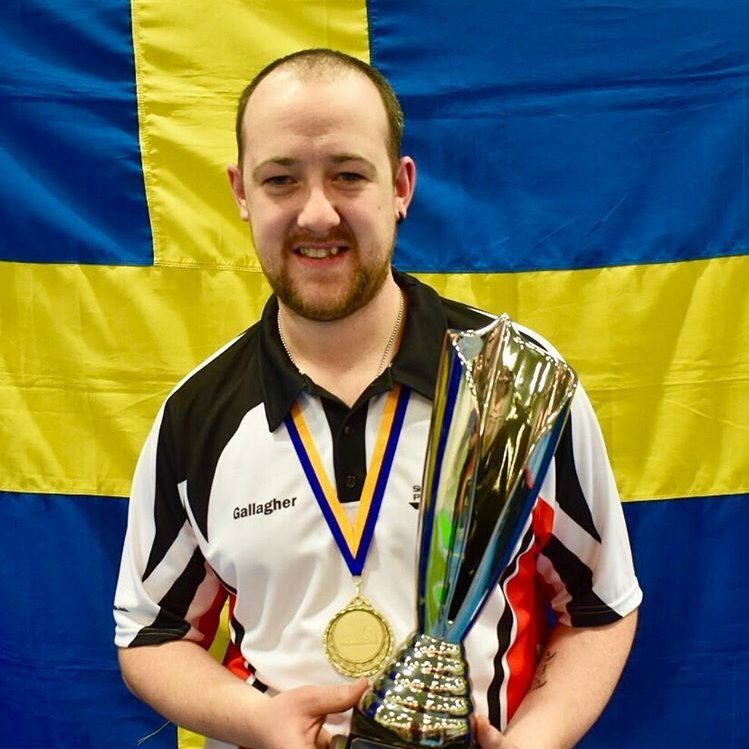 All teams in the group will be awarded with the win, 3 points and 1 shot for each of the scheduled number of ends for games at the event e.g. 12 end pairs would be a 12 v 0 win and 10 end fours would be a 10 v 0 win. Any results recorded against the withdrawn team prior to withdrawal will not be counted. 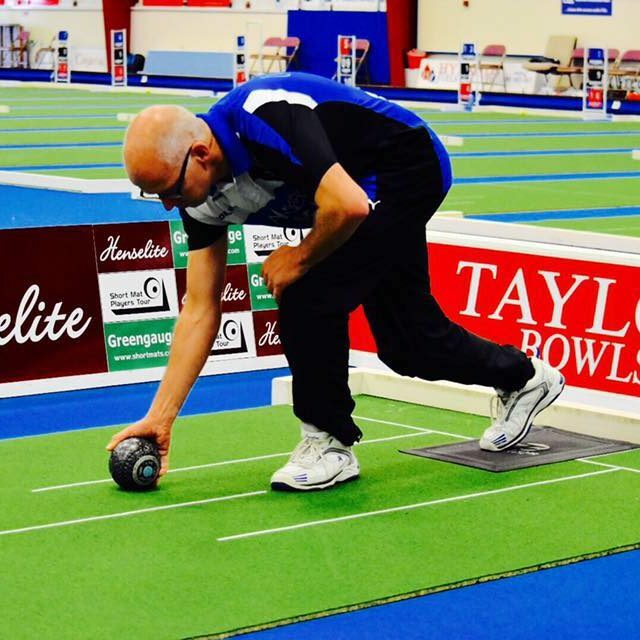 Toss to start – winner has the choice of taking the jack on 1st & 3rd ends, or 2nd end. Closest bowl to the jack wins the end. First team to win 2 ends wins the match. Touchers are not marked. Any bowl entering the ditch area will be removed. Each team may cause one dead end in the tie-break without penalty; the end to be replayed. A team causing a 2nd dead end will automatically lose that end. A tied end will count as 0.5 ends to each team. If, after 3 ends the score is 1.5 ends each, a one end sudden death play-off will take place. Toss to start. All rules will be ESMBA, apart from those listed above. The recommended method to secure your entry into SMPT events is to enter online and pay through Paypal, however entry forms can be downloaded and sent by post with a cheque included. Any entry forms submitted without a cheque for the full price of entry will be void. You will be sent confirmation once your entry has been approved. At this moment shortmatplayerstour.com only supports online payment through PayPal. Even if you don’t have a PayPal account, or you don’t want to register one, you can still pay through PayPal using your debit or credit card information. When you reach the PayPal final step for payment, there is an option there for non-registered users.